5* Lufthansa cheap flights from the UK to Ethiopia from £330 return! 5* Lufthansa cheap flights from the UK to Ethiopia from £330 return! Looking for a bargain deal from main airports in the United Kingdom to this African country still based on top ranked carrier check out this latest Lufthansa promotion. 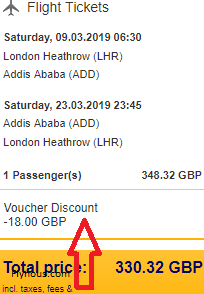 Based on this Star Alliance airline you can book discounted return flights from London, Manchester or Birmingham to Addis Ababa. (Capital and the largest city of Ethiopia). The cheapest solution is when making your purchase directly at website of Lufthansa. Also compare there all the cheapest travel dates. Moreover thanks to currently valid Lufthansa discount code you can further save some decent money. Note that fare is for a roundtrip ticket incl. all taxes and fees, onboard meals and 2x checked luggage max 32kgs each. Lufthansa promotion is running till 18th of November 2018. At this moment great availability when traveling from now till 10th of December 2018 or 3rd of January till 4th of April 2019. Max stay 3 months. 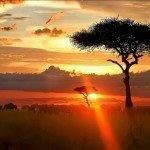 You can book your hotel room in Addis Ababa via leading booking agents Hotels.com or Booking.com. Booking sample of 5* Lufthansa cheap flights from the UK to Ethiopia from £330 return! As per our booking sample your outbound flight from London Heathrow to Addis Ababa would be on Saturday, 9th of March. Inbound from this African country back to the United Kingdom two weeks later, on 23rd of March 2019.